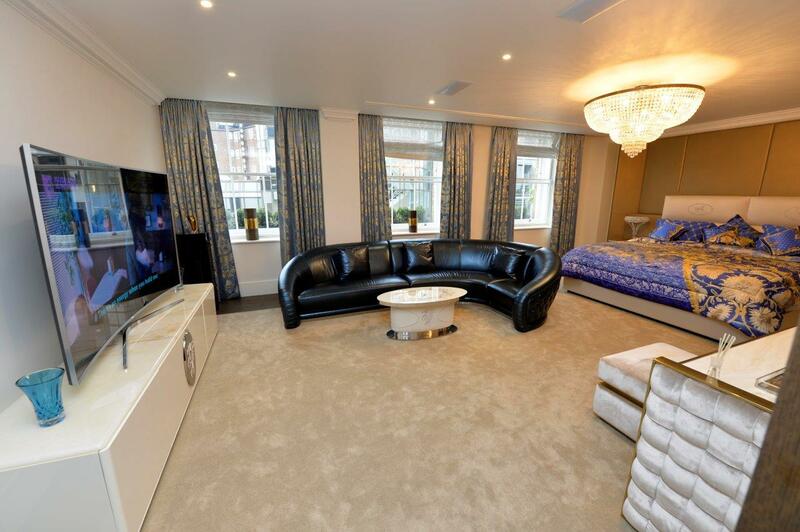 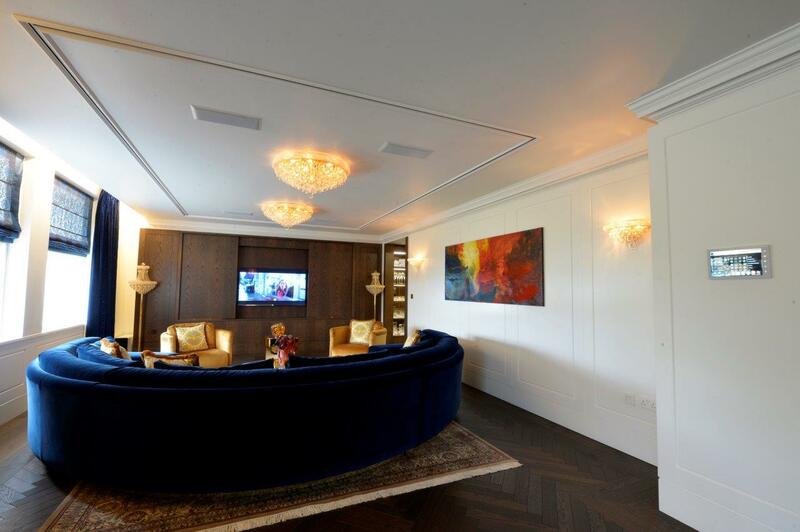 Overlooking the impressive scenery of London’s Hyde Park, this three-bedroom Marble Arch apartment has received the full Crestron treatment courtesy of install company IntelliCasa. 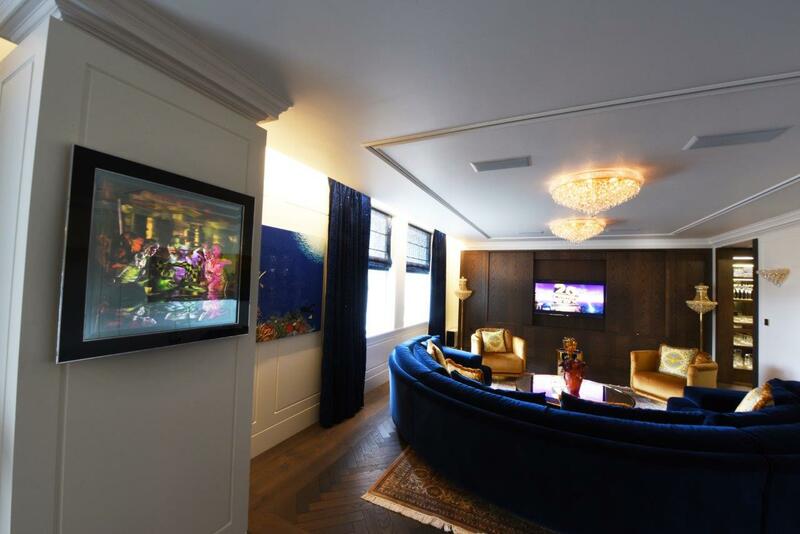 Having worked with IntelliCasa in the past, the homeowner requested a future-proof and easy-to-use system that replaced an existing lighting and AV solution, which the homeowner found difficult to use. 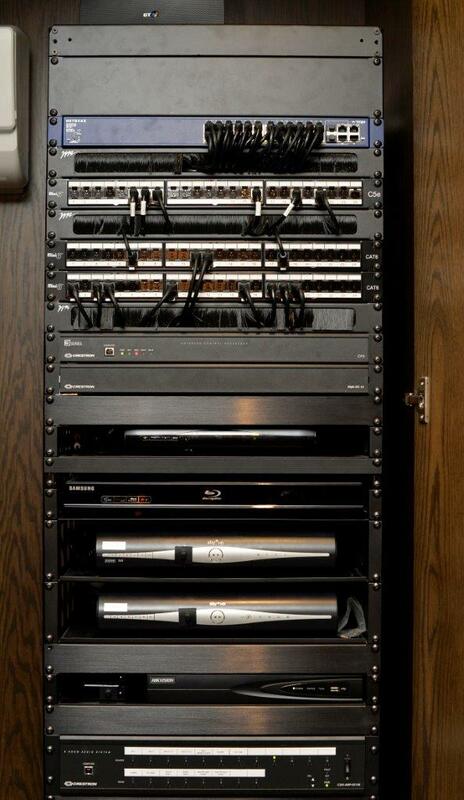 The new system also needed to incorporate HVAC and security. 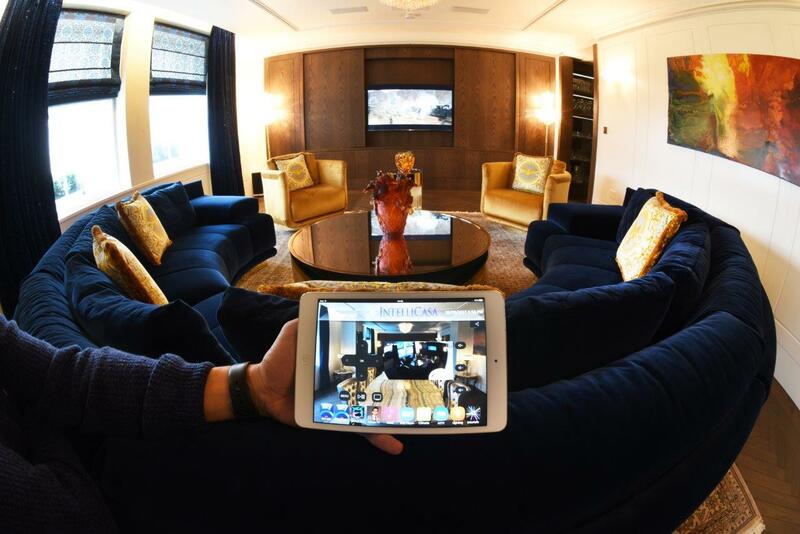 Elie Kfoury, executive director of IntelliCasa, says, “Crestron technology gives us the flexibility to create the unexpected, with the reassurance of a seamless integration from start to finish. 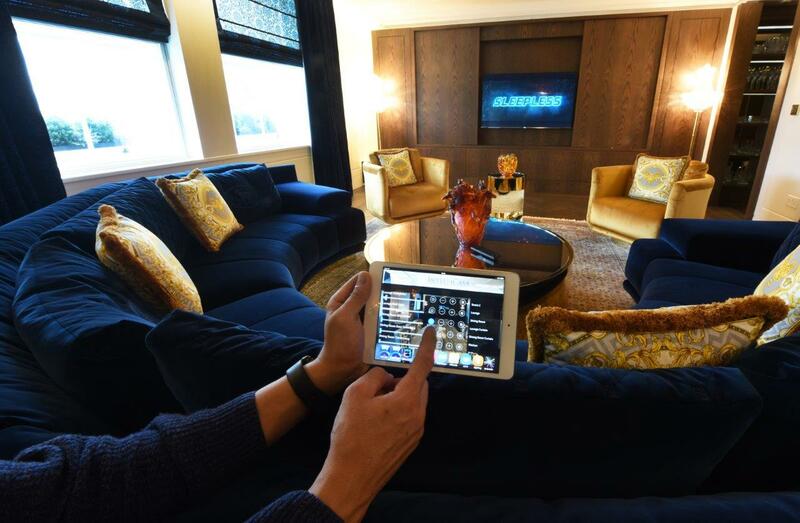 The user friendly and sophisticated end-to-end solution gives the homeowner a flexible living space that is easily adjusted to suit a multitude of functions”. 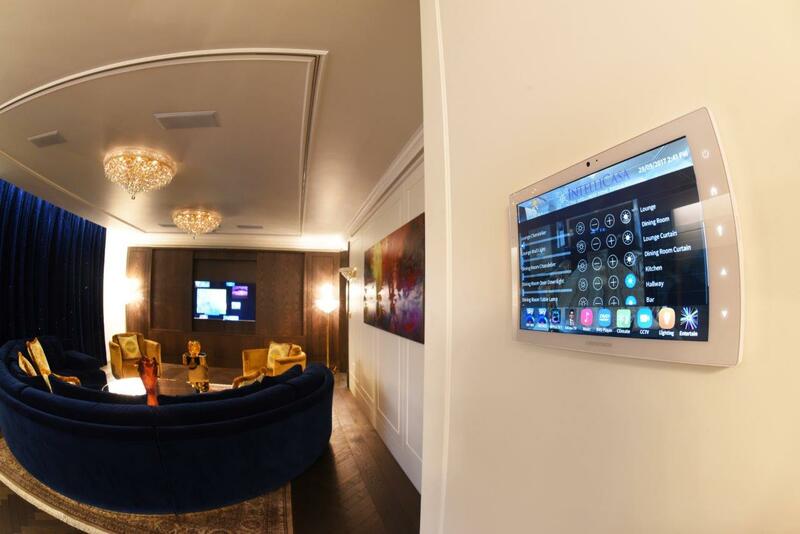 The control and entertainment system called on the Crestron DigitalMedia platform, a Crestron 3-Series processor and a Crestron CENNSP- 1 Network Stream Player. 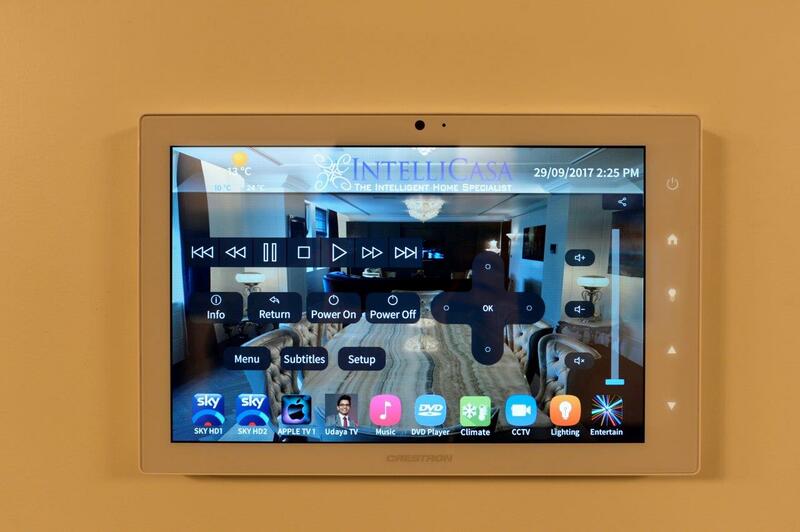 The system delivers a ‘Home Away’ and a ‘Home Return’ function, which automatically controls the system in response to whether the owner is at home or not. 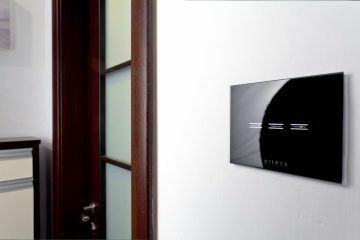 It automatically adjusts or turns off the HVAC, AV, and lighting system and even the heated towel rails, to ensure a comfortable return home and reassurance when the property is vacant. 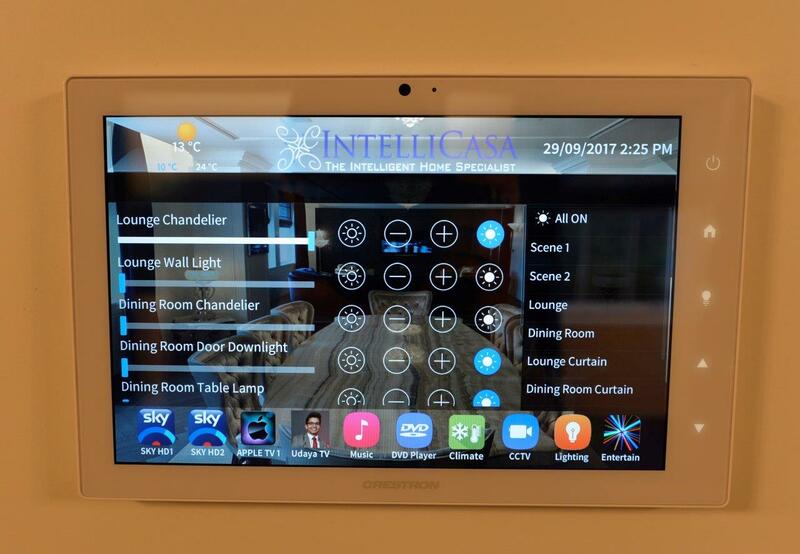 In addition, IntelliCasa created a bespoke application for the client’s smart phone, giving them the ability to control their air conditioning or heating system, as well as lighting and curtains via the installed security cameras. 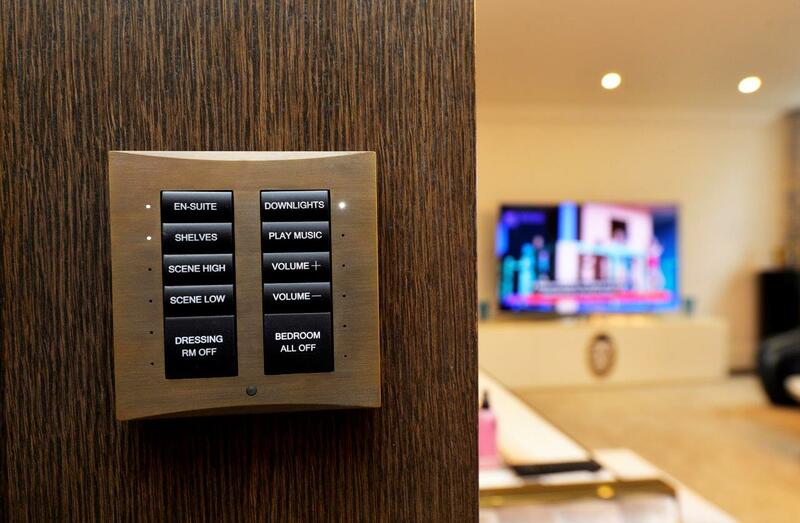 “The Crestron system allows the homeowner full control of all technology within this stunning home, either at the touch of a button or by using the power of their own voice,” explains Elie. 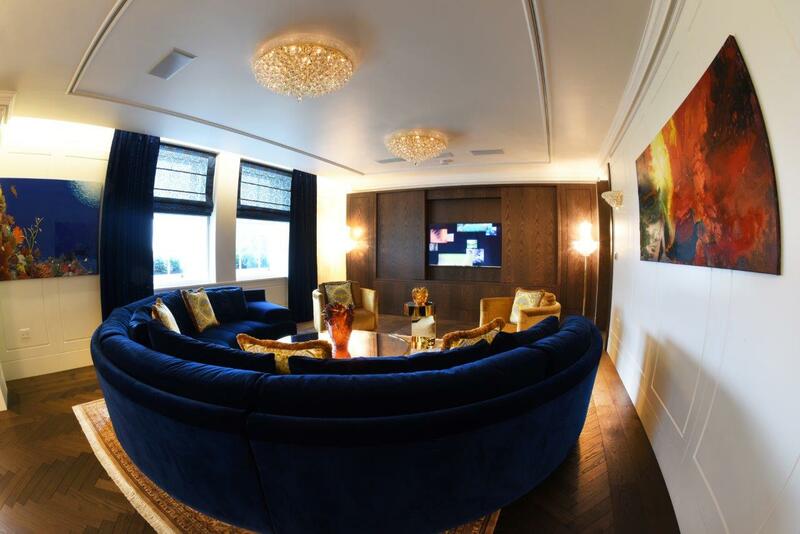 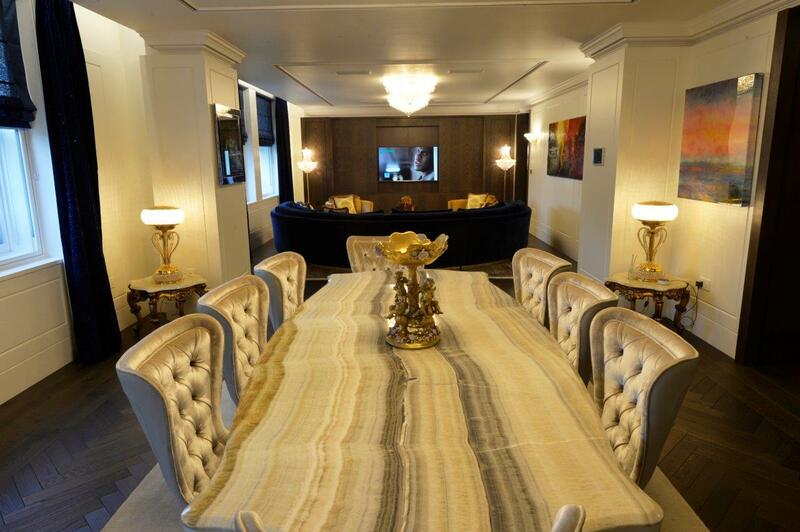 “Because of the beautiful décor of the property, we wanted a solution that integrated discreetly, provided security reassurance and complemented the interior design of the property, for which Crestron fitted the bill perfectly”. 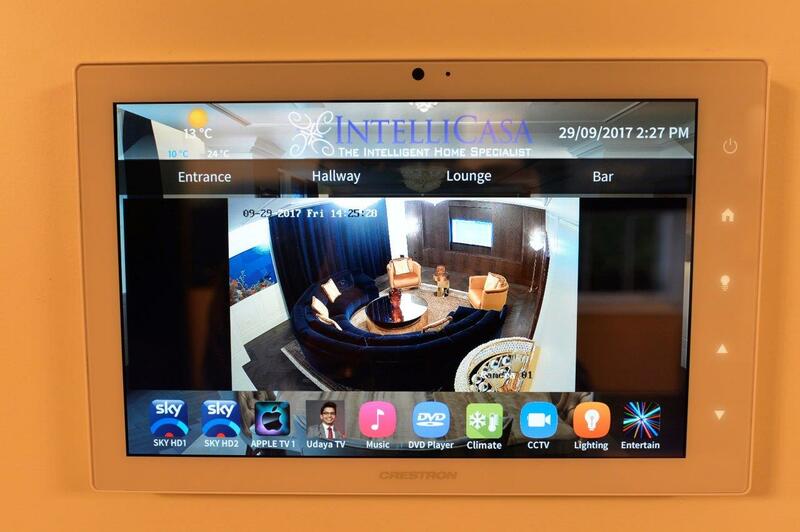 IntelliCasa’s integration solution was built upon a Crestron 3-Series processor which unifies the various components throughout the home. 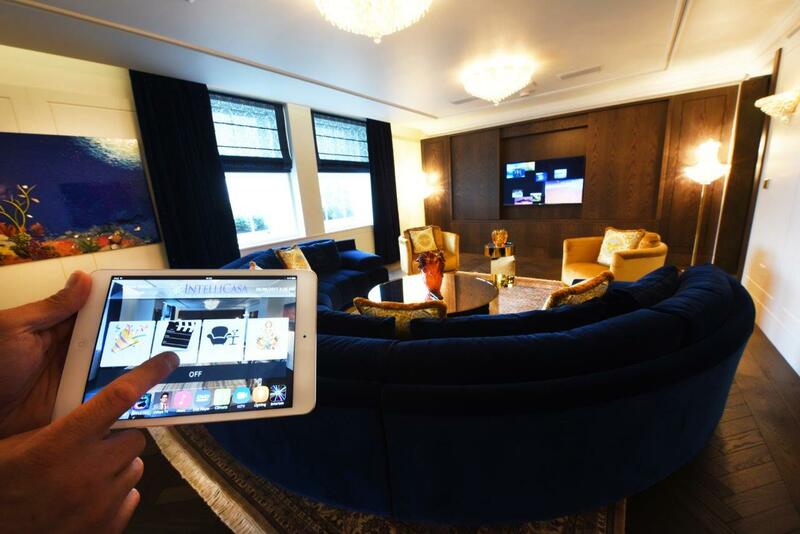 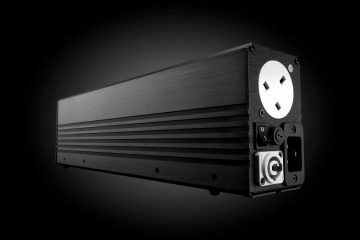 This allows for full control of the lighting, heating, curtains, blinds, CCTV and AV via Crestron HR150 hand-held remotes and 10in TSW-1060 touch screens. 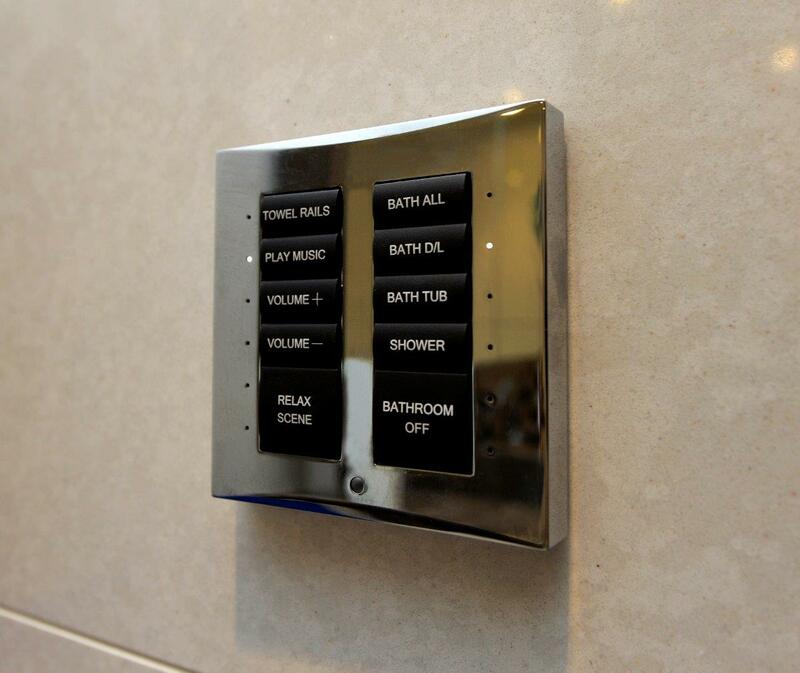 Bespoke Crestron Cameo C2NI-CB keypads manage the lighting to enable simple control to reflect the mood or usage of the rooms, as well as being individually suited to match each interior. 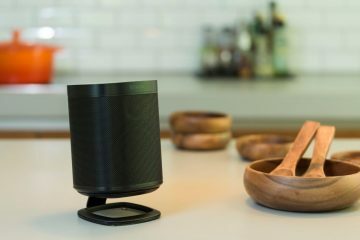 In addition, the entire system can also be operated via voice control technology using Amazon Alexa. 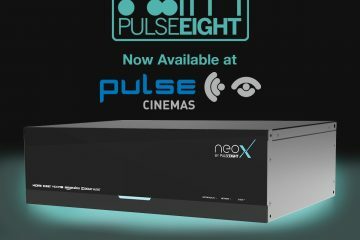 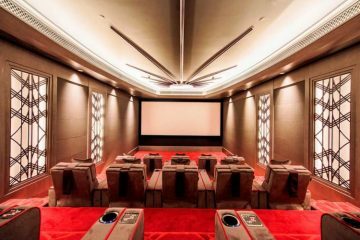 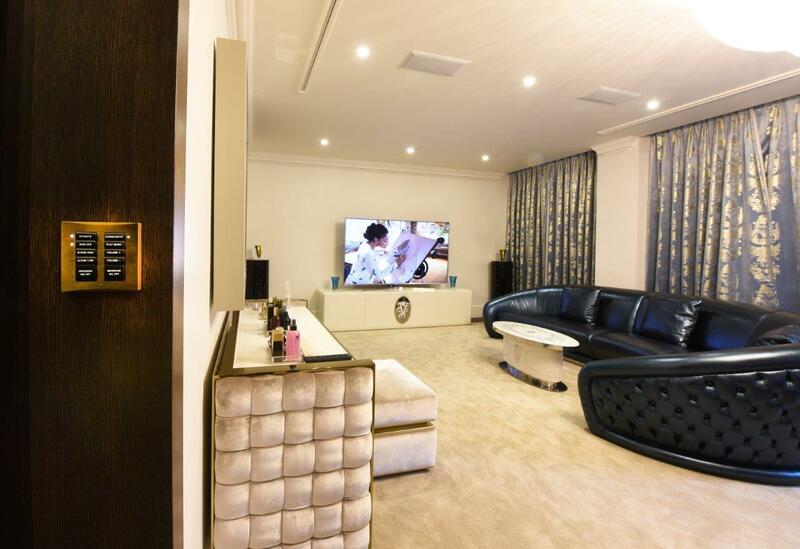 Entertainment was a key element for the client and so Crestron DigitalMedia and a Crestron CEN-NSP-1 Network Stream Player were chosen to provide quality performance, creating a home cinema and entertainment space within the owner’s home. 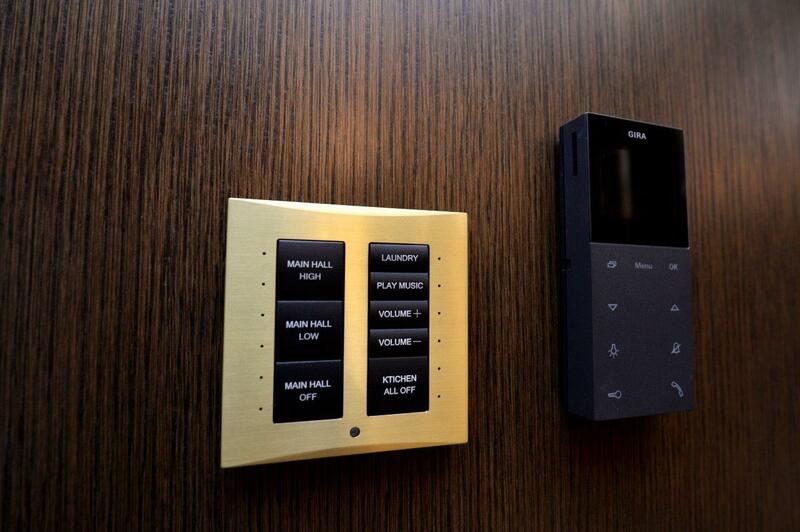 The Crestron CEN-NSP-1 Network Stream Player provides multiple options for sharing music from streaming devices and listening to internet radio through the property’s extensive audio system.